Matthew Heineman’s documentary Cartel Land opens with a bit of misdirection. 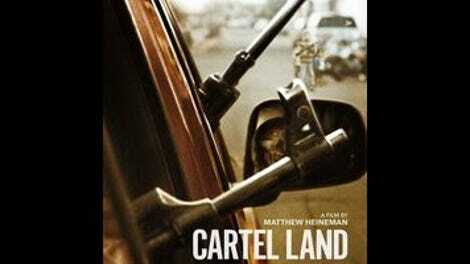 The film’s initial interview subjects are actual cartel members who manufacture crystal meth; Heineman shoots them at work in the middle of the night, out in the Mexican desert, wearing masks to obscure their identities and speaking frankly about their awareness of the devastation their activities will wreak (mostly in the U.S., where the drugs are headed). It’s riveting stuff, but it’s also the last time that Cartel Land will directly address the cartels until it returns to this group of meth cooks in its final moments. The movie is actually about two very different groups, on opposite sides of the Mexican-American border, who are fighting the cartels, and Heineman cuts back and forth between them in a way that creates an entirely false equivalence. Whether he’s aware that it’s false remains unclear; even if he is, though, the disparity in interest level remains vast. Fortunately, Cartel Land spends considerably more screen time in Mexico, where the real action is. Sick and tired of being intimidated, robbed, and murdered, a vigilante group called the Autodefensas, led by a middle-aged surgeon named José Manuel Mireles Valverde, has been driving the cartels out of the state of Michoacán, one city at a time. To say that Heineman has been granted remarkable access to their activities would be an understatement—more than once, his camera is present when gunfire breaks out, and he charges ahead anyway, intent on capturing whatever goes down. At the same time, however, the film is reticent about following up on what Mireles and his heavily armed followers do with cartel members they’ve captured alive. At one point, Mireles tells a subordinate to put someone “into the ground,” but nothing further is either shown or even mentioned; in another scene, the screams of men apparently being tortured can be heard, while the camera remains on a much more sedate interrogation. Whatever one’s moral qualms regarding the Autodefensas—and Heineman makes a point of showing that Mireles, who’s married, has a penchant for using his celebrity to seduce much younger women—there’s no denying the engrossing nature of the footage shown here, or that the people involved are fighting for their own lives. So it’s not at all clear why Heineman also devotes a large chunk of Cartel Land to Tim “Nailer” Foley, an Arizona resident who heads up his own border patrol, which the Southern Poverty Law Center has declared an extremist group. Foley readily admits that his initial motivation was his perception that illegal aliens were preventing him from finding a job, and racist comments flow freely among his “staff.” The group claims that nobody else is lifting a finger to prevent the cartels from infiltrating America, but the stretch of the Arizona border they patrol is roughly a thousand miles from the nearest cartel activity. 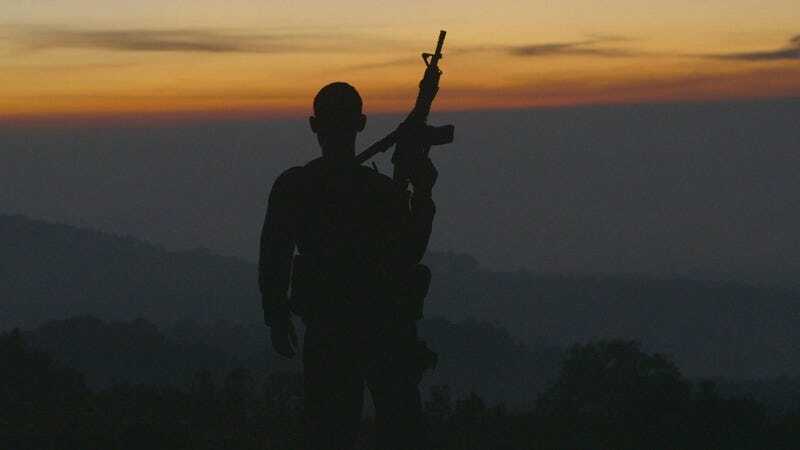 Cartel Land risks trivializing the Autodefensas’ genuine (if sometimes misguided and brutal) effort to take back Michoacán by juxtaposing them with a handful of American racists who’ve declared themselves the country’s last line of defense. All vigilante groups are not created equal; here, the nuances sometimes get lost.